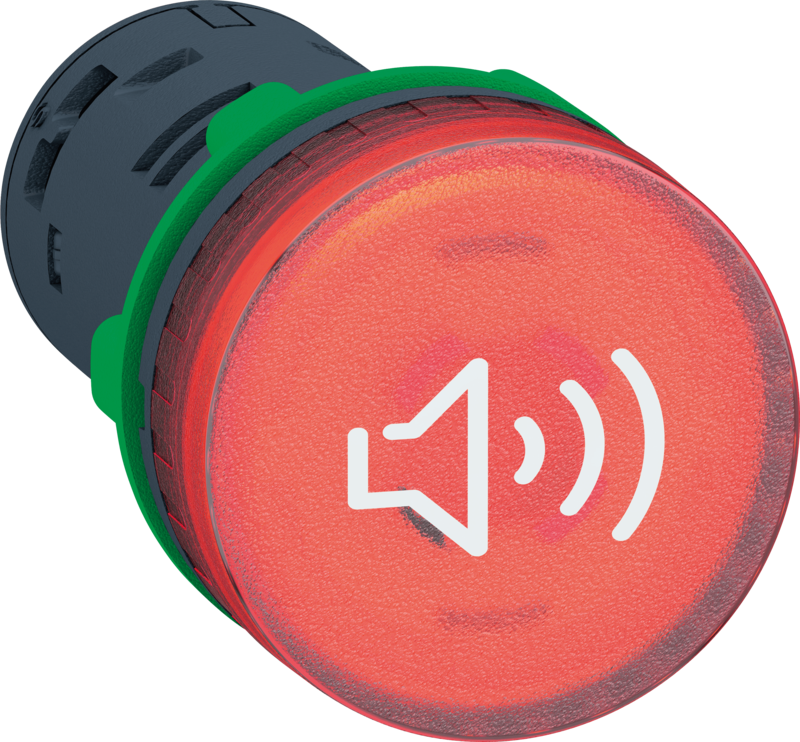 Schneider Electric's Harmony XB5KS Buzzer increases operating efficiency and safety in harsh environments by significantly improving signal perception. 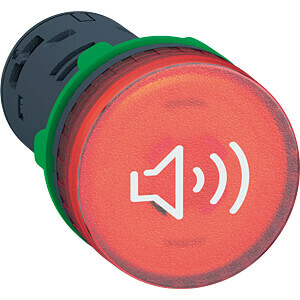 The XB5KS2•4 buzzers can be illuminated in red, which further enhances the audible alarm with a visual alarm. This makes them particularly suitable for noisy or bright ambient conditions in which increased demands are placed on perception. The acoustic signal with 90 dB volume at a distance of 10 cm can also be output as a continuous or pulse tone. The acoustic detectors are supplied as complete devices for direct use. The assembly is extremely simple with only one single fixing nut in a 22 mm hole. Different versions are available for the operating voltage 24 AC/DC, 120 AC or 230AC.